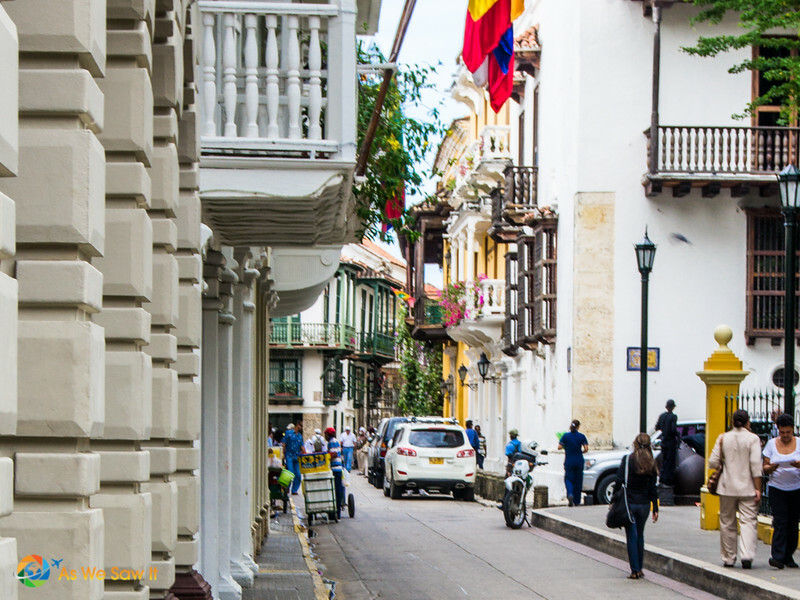 Cartagena, on Colombia's Caribbean coastline, is one of the best reasons to visit the country, especially if you have a camera. 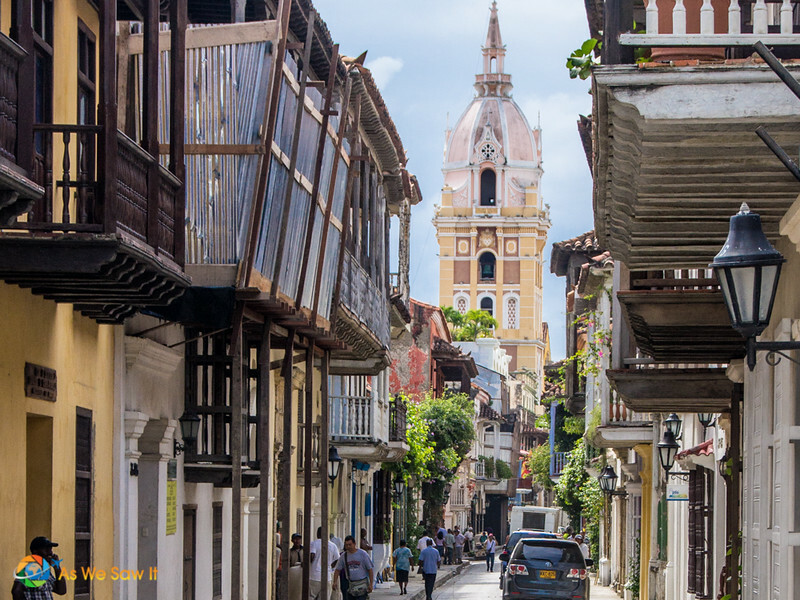 It has a beautiful beach, fantastic restaurants, lively street life, and an old town so full of charming colonial architecture that it deserves its UNESCO World Heritage status. 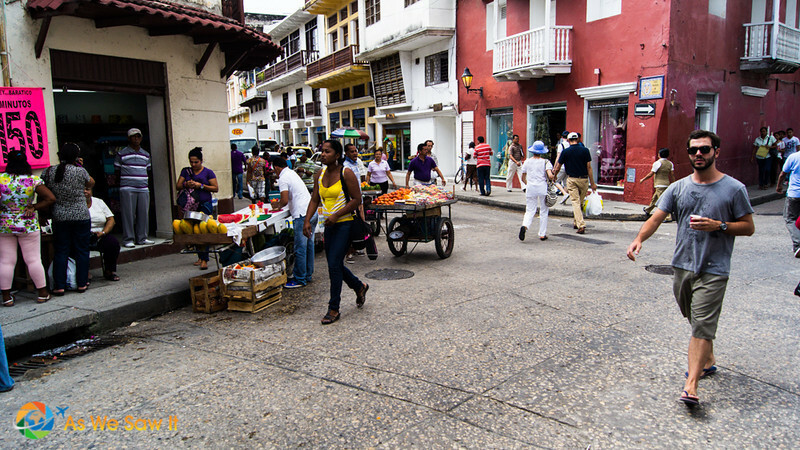 It would take days to really appreciate the city, but there is a whole lot more to see than just Cartagena street life. 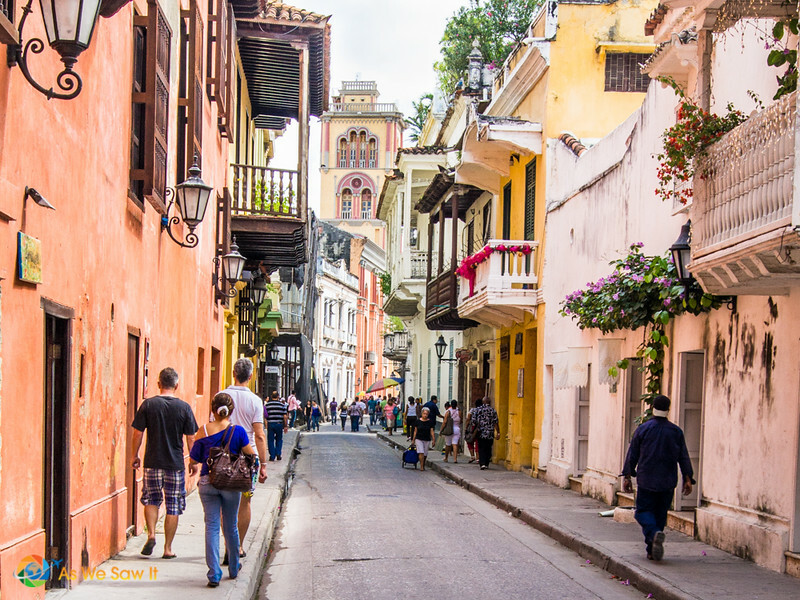 Once you're there you'll want to experience it all, so you may want to plan to spend more time in the city. 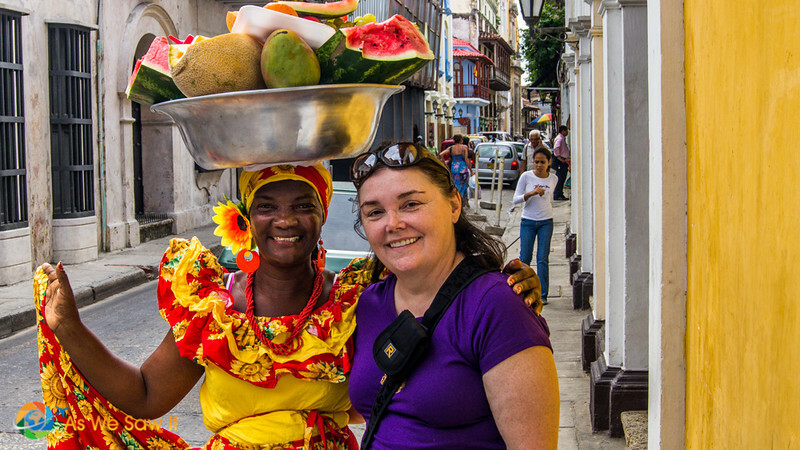 There are so many colorful buildings and colorful people in Cartagena's historic center. 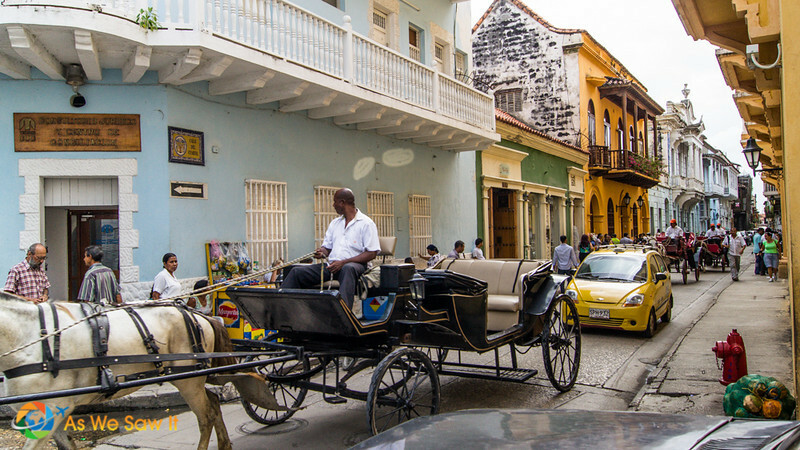 Spending one weekend in Cartagena just isn't enough time to appreciate it all. 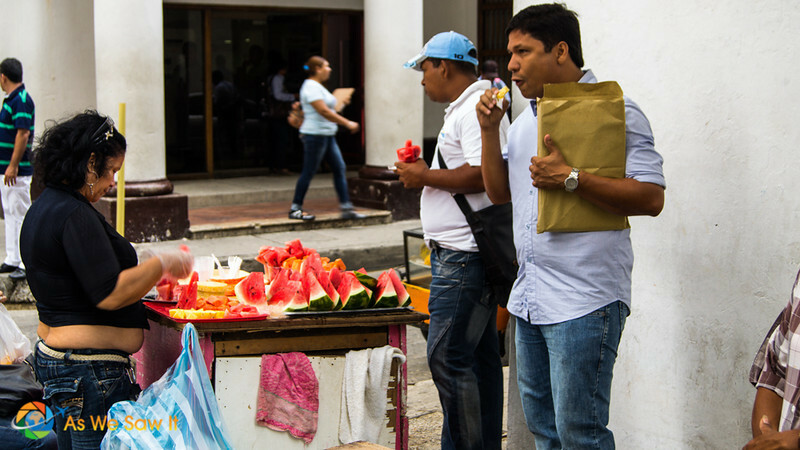 Here is our photo homage to Cartagena's colorful street life. After the sun goes down the nightlife starts up. 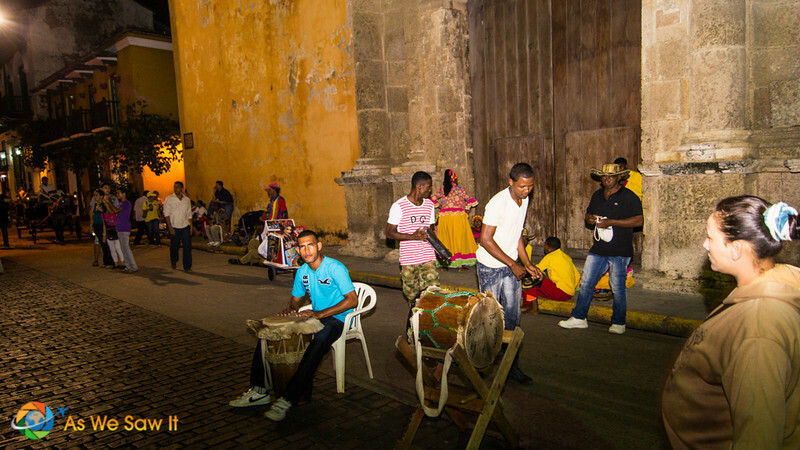 Read more about why Cartagena is a UNESCO Site on their website. 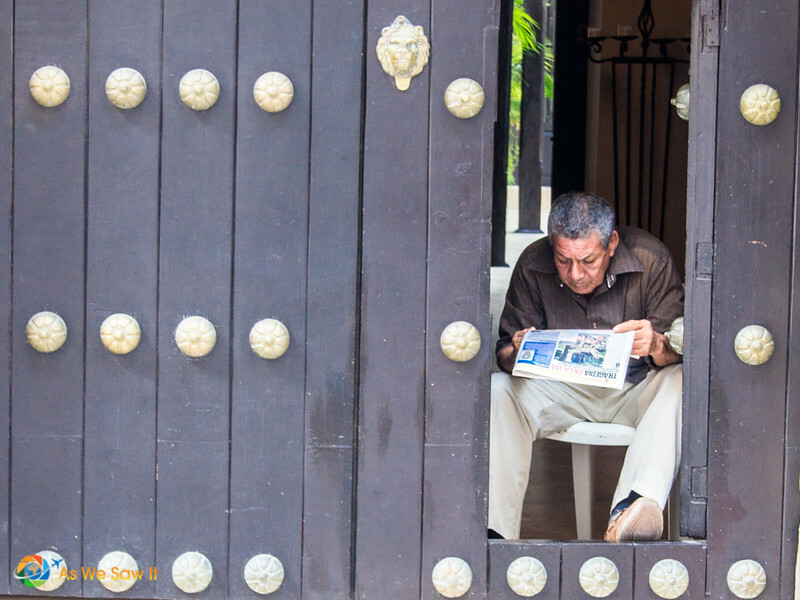 Or if you prefer, you can read about our own visits to UNESCO sites on this blog. The night photos look really stunning. 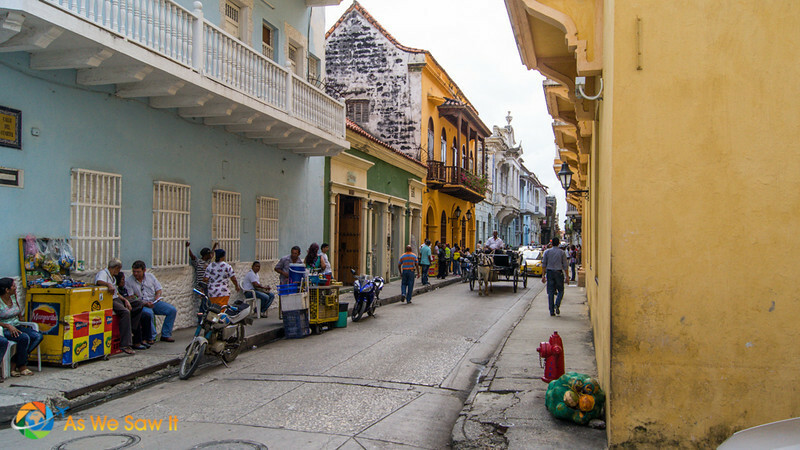 I was unaware Cartagena was a UNESCO site, but now I know….and any UNESCO site I’ve been to has been awesome. 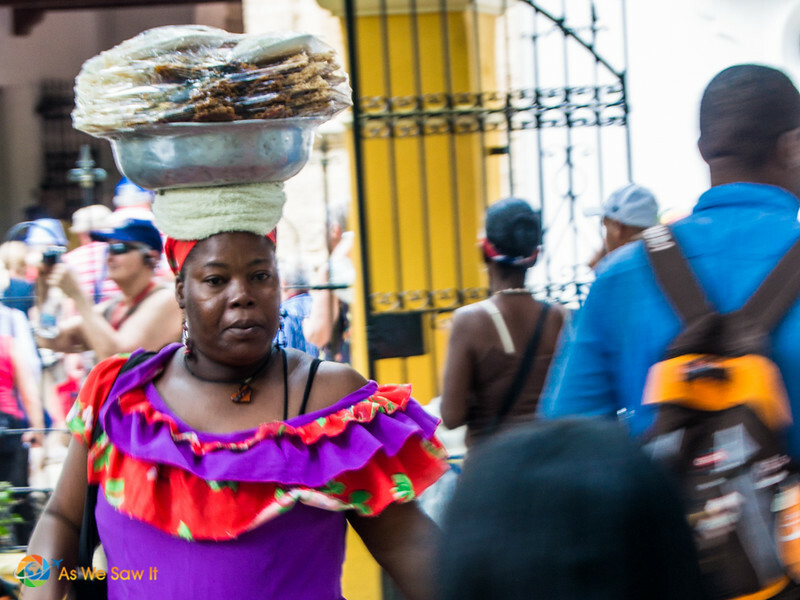 Love the images of the women carrying fruit on their heads. Caribbean shot all the way. Reminds me of Carmen Miranda. 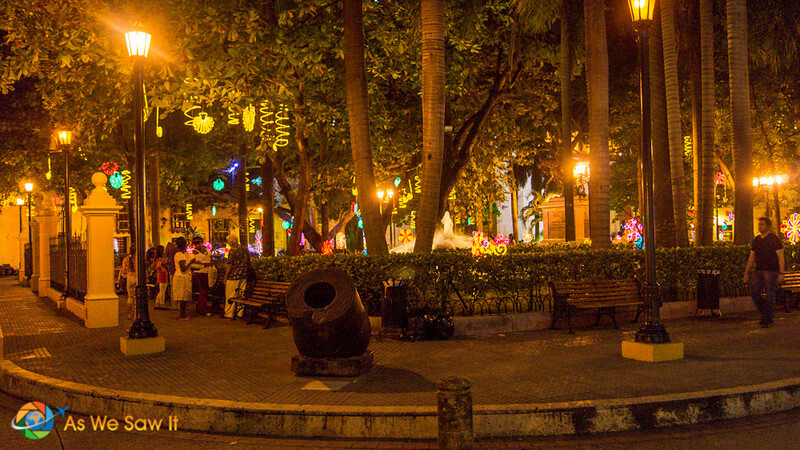 Fun shots, and overall it seems like a fun city. I know someone from Colombia and he can’t speak highly enough of the city. Suggests it each time we meet up. Haha, yes, it reminds me of Carmen Miranda as well! It also reminds me of the Chiquita banana lady. You really should take your friend up on his suggestion! 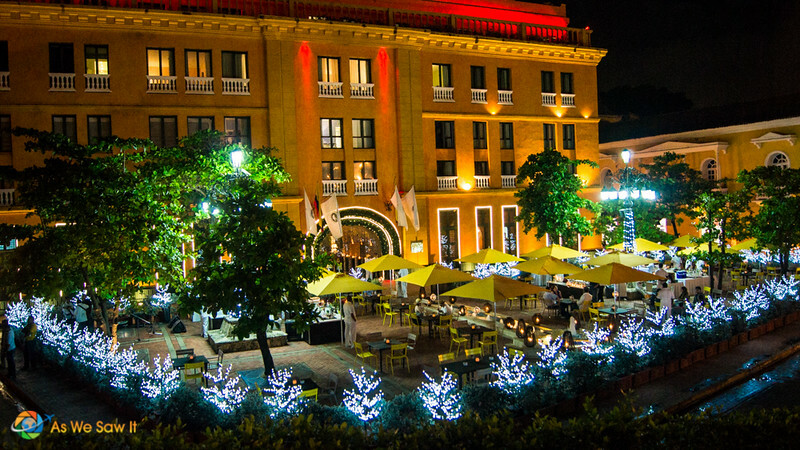 It is a really fun city, and it’s got great restaurants as well as lots of jewelry stores with high karat gold. 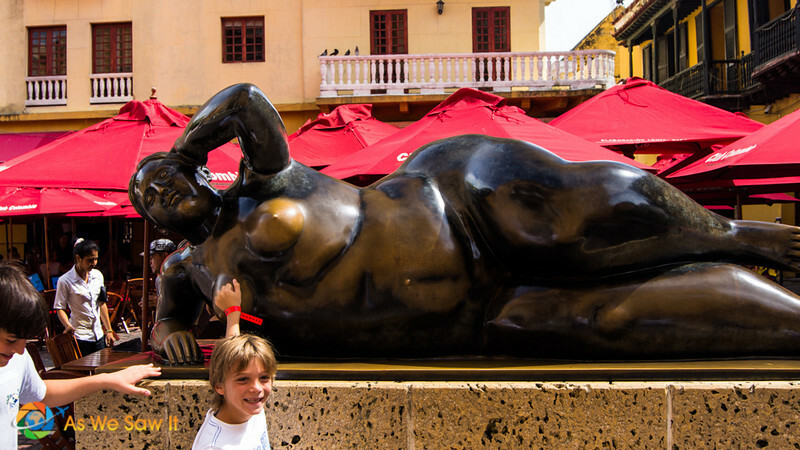 We loved Cartagena- one of my favourite cities in the world. 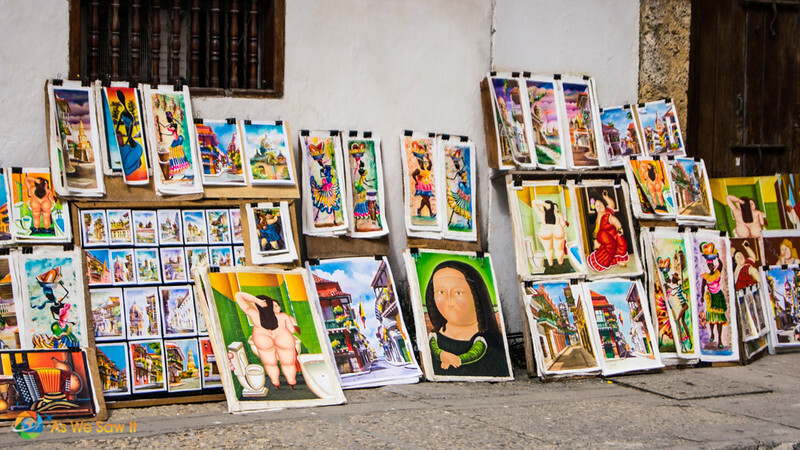 Your photos are great, they really capture how vibrant and colorful the place is! Thanks for the compliment, Jo. 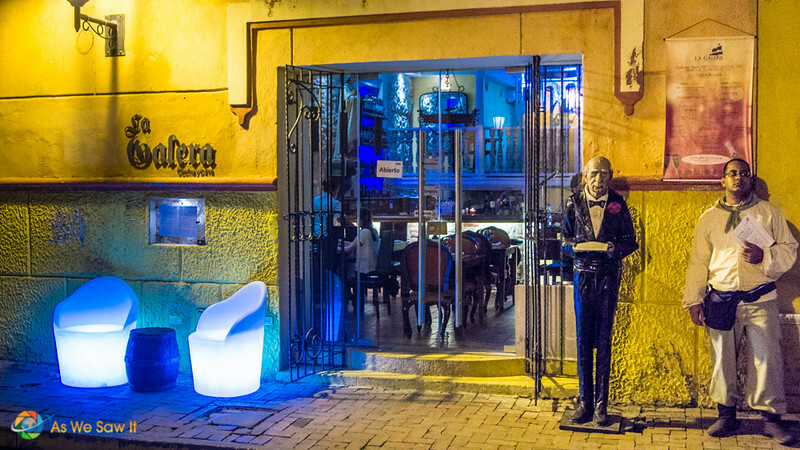 We left Cartagena feeling like we’d only scratched the surface of what the city has to offer. It’s amazing, you’re right.